Now that is carnival time there´s nothing like "hot" costumes to wear. 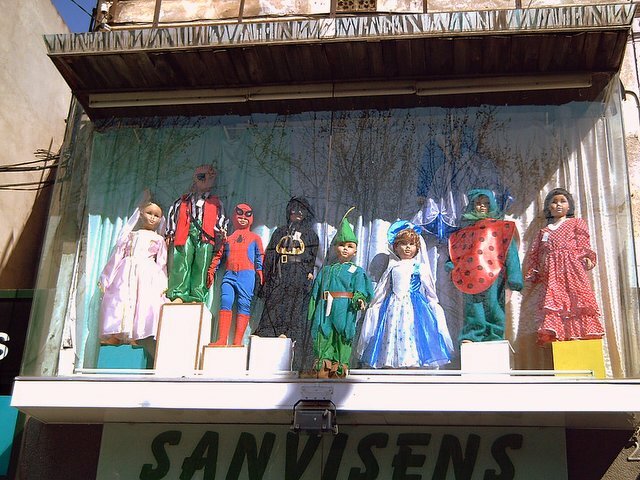 I noticed this funny windowcase where manikins were basking in the sun on top of the main floor of this little shop at Plaza Ibiza in Horta, a quarter near the hills surrounding the city. I´ve added you to my links! !